Elijah was a human being… just like us. Elijah prayed earnestly for a drought… like we can. Elijah prayed earnestly for abundance… like we can. Elijah’s prayers were answered… like ours can be. Imagine if We All were praying earnestly like Elijah, for a drought of sin in our land, and for an abundance of righteousness in our land. Okay, imagine if 50% of us were praying like Elijah. Hmmm… What about 25% of us? No? Then what about 10% of us? Elijah was just ONE person. 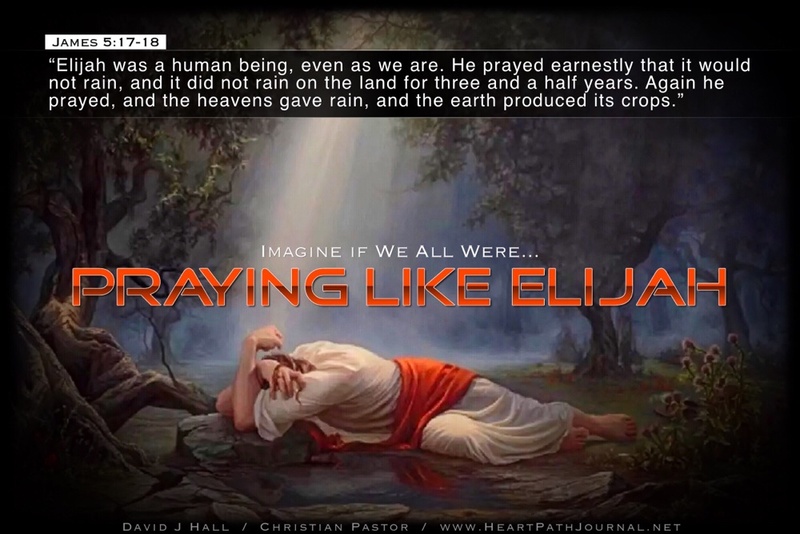 Imagine if just YOU were praying like Elijah for the nation? After all, YOU are a person just like Elijah. Let’s pray like we can because our earnest praying can be answered!